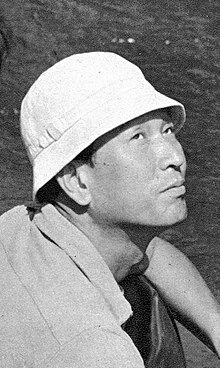 Akira Kurosawa (Kyūjitai: 黒澤 明, Shinjitai: 黒沢 明 Kurosawa Akira; March 23, 1910 – September 6, 1998) was a Japanese film director and screenwriter, who directed 30 films in a career spanning 57 years. He is regarded as one of the most important and influential filmmakers in the history of cinema. Kurosawa entered the Japanese film industry in 1936, following a brief stint as a painter. After years of working on numerous films as an assistant director and scriptwriter, he made his debut as a director during World War II with the popular action film Sanshiro Sugata (a.k.a.